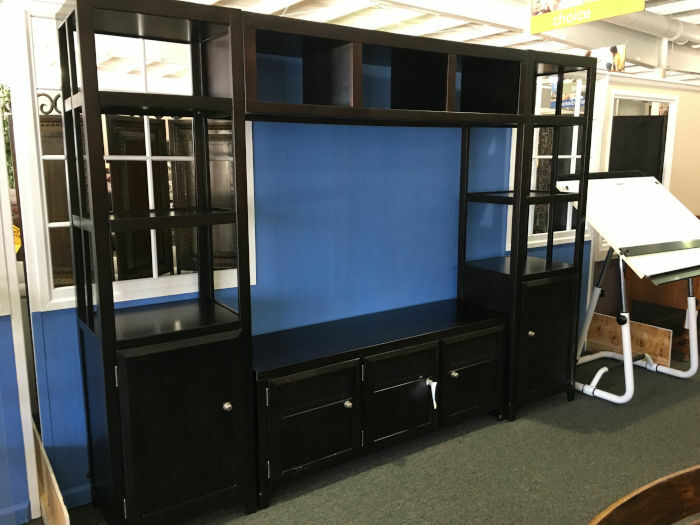 Large Entertainment Center, Can be used as TV stand and 2 bookcases, Lots of options available, Black Finish with silver hardware, Available today for $300. 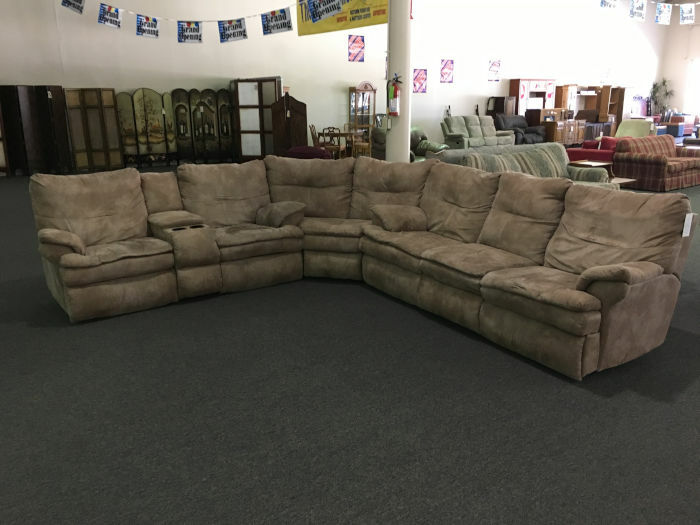 Tan microfiber sectional, Has 4 recliners in it, Console offers storage and cupholders, All pieces operate well, Can be separated into reclining sofa and reclining console loveseat, available today for $400. 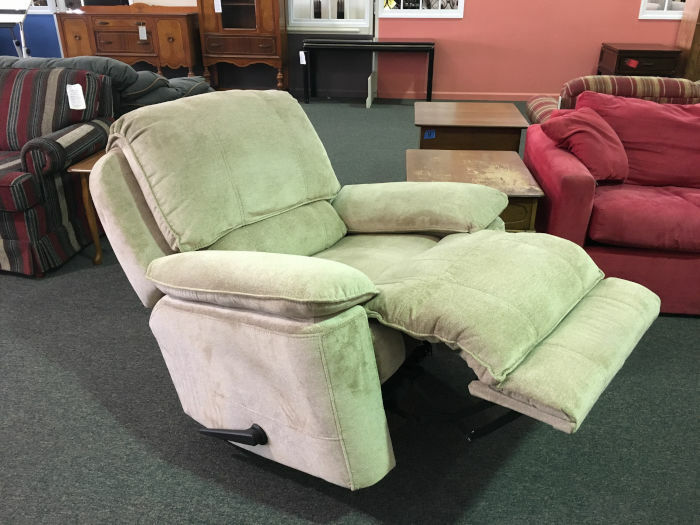 Lane Recliner, Like brand new, restuffable back cushions and chaise, operates great, Available today for $400.